1 Dashboard Support and Resistance for multi currency pairs for any time frame.This tool is good to have a dynamic forex market for 24 currency pairs for each time frame. Spread, Range, HILO, D-Average, In corner Top right the Cuurency pairs with more distances by levels Pivot, R1, R2, S1, S,. In the picture below Dashboard Support and Resistancein action. This Forex Stochastic Dashboard analyzes the stochastic indicator levels for 24 currency pairs for each time frame.This tool is useful for those who make trading on reversals. 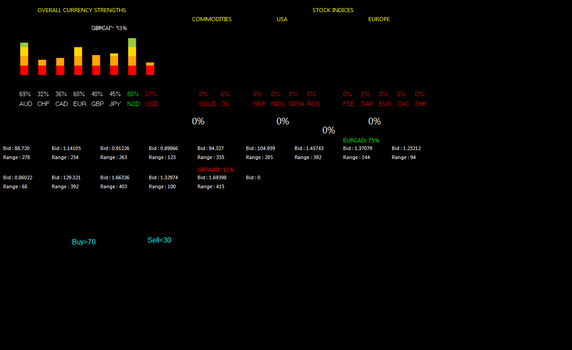 This Forex Stochastic Dashboard it highlights the extreme values of stochastic per time frame. In the pictures below Forex Stochastic Dashboard in action. Forex Full Dashboard is one of my favorites because it shows the overall currency strenght, Commodities, Stock Indicies of Europa and U.S.A.
Value> 70 = Buy Value30=sell. Other features are bid and range. 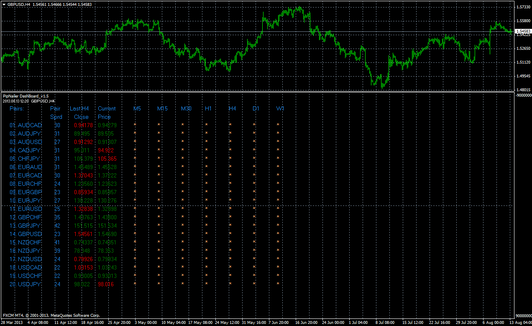 Forex Dashboard Pip Nailer shows the breakout for 20 currency pairs for each time frame. 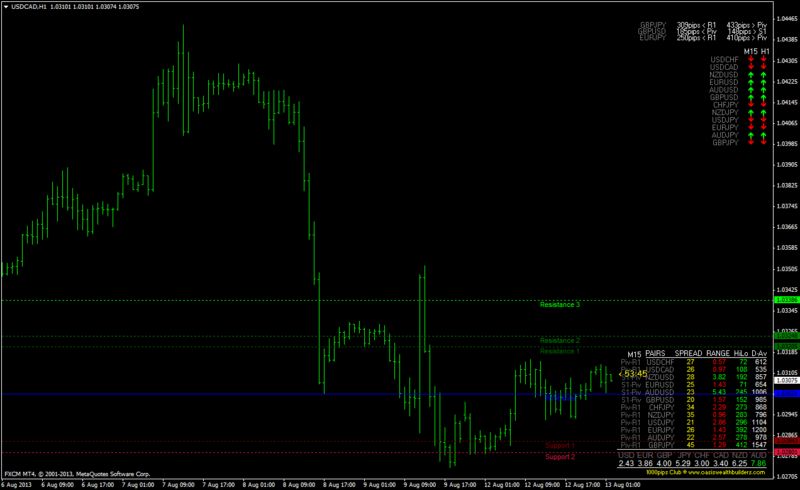 Is is similar at Forex Dashboard Support and resistance. I unzipped Forex full Dashboard and Forex full Dashboard template, then copy and paste into MT4 Data Folder, finally refresh Indicator. Drag on the MT4 chart but it's not working, do not open in the chart. Will you tell me what to do?